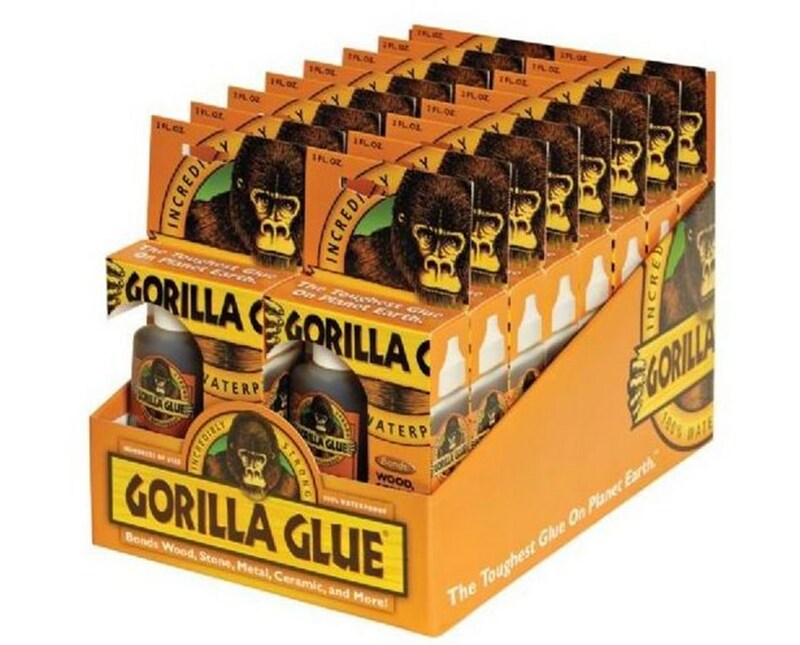 The Gorilla Glue Original Foaming Glue is a liquid adhesive designed for household fixes and tough repairs. It features an incredibly strong formula that virtually bonds everything. 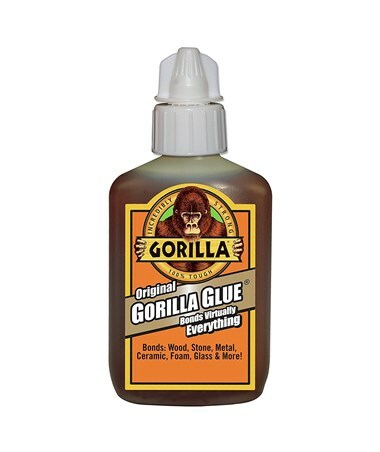 It can easily bond wood, stone, metal, ceramic, glass, foam, concrete, and many other materials on any surface. Water-proof and temperature-resistant, it accommodates both indoor and outdoor applications and withstands extreme heat or cold. 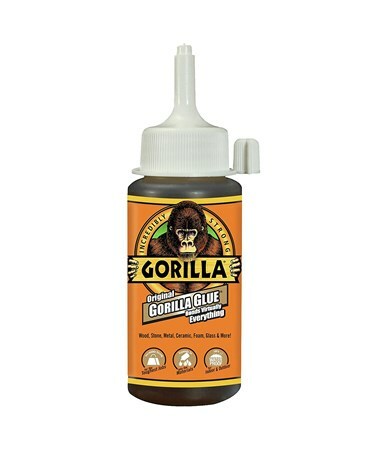 The Gorilla Glue Original Foaming Glue expands three up to four times into the material to form strong, solid bond that won’t break down when exposed to moisture. It dries light tan and allows painting, sanding, and staining for easy and creative finishing. It comes in two different sizes—two ounces and four ounces—and is available individually or in a 11"L x 8 ¼"W x 7 ¼"H display that contains 16 bottles of liquid glue. 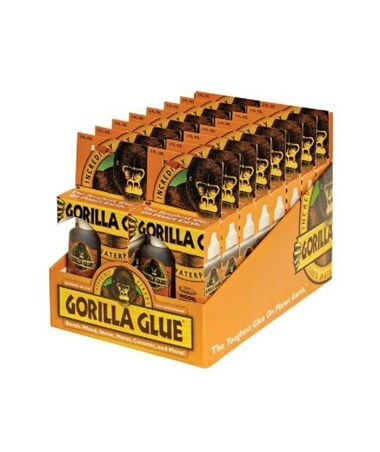 The Gorilla Glue Original Foaming Glue comes in two different sizes and package options. Please select your preference from the menu above.